After a long hiatus, the space agency gets back into the SETI game. In July I wrote about innovative approaches for the Search for Extraterrestrial Intelligence (SETI). In that column I lamented the fact that NASA support for this field dried up in the 1990s and had not returned, even though astrobiology has since flourished. Many of us felt that the bureaucratically maintained distinction between astrobiology and SETI did not make intellectual sense, and we longed for SETI to be let in from the cold. As that column went to press I received an email asking if I would help organize a workshop on “technosignatures.” The sponsor? NASA. That got my attention. The purpose was to explore how to best use NASA resources in a renewed search for extraterrestrial intelligence. Apparently, Congress’s new federal budget mandated that NASA spend $10 million “to search for technosignatures, such as radio transmissions, in order to meet the NASA objective to search for life’s origin, evolution, distribution, and future in the universe.” Wow! The workshop, which took place in September, was highly stimulating, and given the renewed government interest in SETI, the mood was bright and optimistic. Along with evaluation of historical and current searches, there was an openness to new ideas born of a kind of humility. We can’t really second-guess the properties or motivations of technological aliens, so we have to cast a wide net. In addition to “traditional” SETI searches for radio signals or laser pulses, we must be alert to more passive signs of technological entities that might not be trying to get in touch with anyone. These include possible artifacts beyond or within our own solar system, or planetary atmospheres altered or engineered by industrial activities. Attendees made an effort to stick to the prosaic questions: What observing programs can we ramp up in the next few years using NASA’s current or expected assets and instruments? How can NASA best collaborate with private partners such as the SETI Institute and Breakthrough Listen? But with SETI it’s hard to avoid deep philosophical musings. Some talks at the workshop delved into abstract but necessary puzzles about the properties and behavior of distant, advanced civilizations — even about what we mean by “advanced” and “civilization.” SETI has always combined solid engineering, daring speculation, and profound questioning. This historical tension seemed absent from September’s workshop. Although our prime directive was to guide NASA in the use of its assets to search for technosignatures, there was respectful discussion of the more esoteric and humanistic questions that are naturally evoked, and a recognition that a mature SETI program going forward will involve more than just telescopes and computer models. Out of this will come new calls for proposals to NASA, and then a new era of federally funded SETI research. May it be long and fruitful. NAIC Arecibo Observatory operated by University of Central Florida, Yang Enterprises and UMET, Altitude 497 m (1,631 ft). 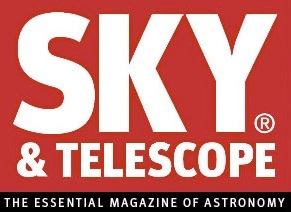 Sky & Telescope magazine, founded in 1941 by Charles A. Federer Jr. and Helen Spence Federer, has the largest, most experienced staff of any astronomy magazine in the world. Its editors are virtually all amateur or professional astronomers, and every one has built a telescope, written a book, done original research, developed a new product, or otherwise distinguished him or herself. Sky & Telescope magazine, now in its eighth decade, came about because of some happy accidents. Its earliest known ancestor was a four-page bulletin called The Amateur Astronomer, which was begun in 1929 by the Amateur Astronomers Association in New York City. Then, in 1935, the American Museum of Natural History opened its Hayden Planetarium and began to issue a monthly bulletin that became a full-size magazine called The Sky within a year. Under the editorship of Hans Christian Adamson, The Sky featured large illustrations and articles from astronomers all over the globe. It immediately absorbed The Amateur Astronomer. Despite initial success, by 1939 the planetarium found itself unable to continue financial support of The Sky. Charles A. Federer, who would become the dominant force behind Sky & Telescope, was then working as a lecturer at the planetarium. He was asked to take over publishing The Sky. Federer agreed and started an independent publishing corporation in New York. An EPFL scientist has developed a novel approach that boosts the chances of finding extraterrestrial intelligence in our galaxy. His method uses probability theory to calculate the possibility of detecting an extraterrestrial signal (if there is one) at a given distance from Earth. Could there be another planet out there with a society at the same stage of technological advancement as ours? To help find out, EPFL scientist Claudio Grimaldi, working in association with the University of California, Berkeley, has developed a statistical model that gives researchers a new tool in the search for the kind of signals that an extraterrestrial society might emit. His method – described in an article appearing today in PNAS – could also make the search cheaper and more efficient. Astrophysics initially wasn’t Grimaldi’s thing; he was interested more in the physics of condensed matter. Working at EPFL’s Laboratory of Physics of Complex Matter, his research involved calculating the probabilities of carbon nanotubes exchanging electrons. But then he wondered: if the nanotubes were stars and the electrons were signals generated by extraterrestrial societies, could we calculate the probability of detecting those signals more accurately? This is not pie-in-the-sky research – scientists have been studying this possibility for nearly 60 years. Several research projects concerning the search for extraterrestrial intelligence (SETI) have been launched since the late 1950s, mainly in the United States. The idea is that an advanced civilization on another planet could be generating electromagnetic signals, and scientists on Earth might be able to pick up those signals using the latest high-performance radio telescopes. Despite considerable advances in radio astronomy and the increase in computing power since then, none of those projects has led to anything concrete. Some signals have been recorded, like the Wow! signal in 1977, but scientists could not pinpoint their origin. And none of them has been repeated or seems credible enough to be attributable to alien life. galaxy. Researchers have designed sophisticated new instruments – like the Square Kilometre Array, a giant radio telescope being built in South Africa and Australia with a total collecting area of one square kilometer – that could pave the way to promising breakthroughs. And Russian entrepreneur Yuri Milner recently announced an ambitious program called Breakthrough Listen, which aims to cover 10 times more sky than previous searches and scan a much wider band of frequencies. Milner intends to fund his initiative with 100 million dollars over 10 years. “In reality, expanding the search to these magnitudes only increases our chances of finding something by very little. And if we still don’t detect any signals, we can’t necessarily conclude with much more certainty that there is no life out there,” says Grimaldi. Schematic view of the Milky Way showing six isotropic extraterrestrial emission processes forming spherical shells filled by radio signals. The outer radii of the spherical shells are proportional to the time at which the signals were first emitted, while the thicknesses are proportional to the duration of the emissions. In this example, the Earth is illuminated by one of these signals. ©Claudio Grimaldi. The advantage of Grimaldi’s statistical model is that it lets scientists interpret both the success and failure to detect signals at varying distances from the Earth. His model employs Bayes’ theorem to calculate the remaining probability of detecting a signal within a given radius around our planet. For example, even if no signal is detected within a radius of 1,000 light years, there is still an over 10% chance that the Earth is within range of hundreds of similar signals from elsewhere in the galaxy, but that our radio telescopes are currently not powerful enough to detect them. However, that probability rises to nearly 100% if even just one signal is detected within the 1,000-light-year radius. In that case, we could be almost certain that our galaxy is full of alien life. After factoring in other parameters like the size of the galaxy and how closely packed its stars are, Grimaldi estimates that the probability of detecting a signal becomes very slight only at a radius of 40,000 light years. In other words, if no signals are detected at this distance from the Earth, we could reasonably conclude that no other civilization at the same level of technological development as ours is detectable in the galaxy. But so far, scientists have been able to search for signals within a radius of “just” 40 light years. So there’s still a ways to go. Especially since these search methods can’t detect alien civilizations that may be in primordial stages or that are highly advanced but haven’t followed the same technological trajectory as ours. EPFL is Europe’s most cosmopolitan technical university. It receives students, professors and staff from over 120 nationalities. With both a Swiss and international calling, it is therefore guided by a constant wish to open up; its missions of teaching, research and partnership impact various circles: universities and engineering schools, developing and emerging countries, secondary schools and gymnasiums, industry and economy, political circles and the general public. We’re closer than ever before. NASA is targeting technosignatures in its renewed effort to detect alien civilizations. Congress asked NASA to re-boot its search for other civilizations a few months ago. Their first step towards that goal is the NASA Technosignatures Workshop, held in Houston from September 26th to 28th, 2018. If you’ve never stared out to space at night and wondered if there are other civilizations out there, well…that’s difficult to understand. One of humanity’s most ancient and persistent longings is to know if there are others out there. Though it may seem like a long shot, the attempt is irresistible. And NASA’s newest attempt involves technosignatures. Technosignatures are simply evidence of technology. They’re the effects or signature of technological use. The most obvious example might be radio waves, but some experts in technosignatures reject those, because the universe is riddled with radio waves produced by natural sources. SETI was the original search for alien civilizations. But SETI was more or less a search for intentional radio signals sent by another civilization. This new search will be different in scope. 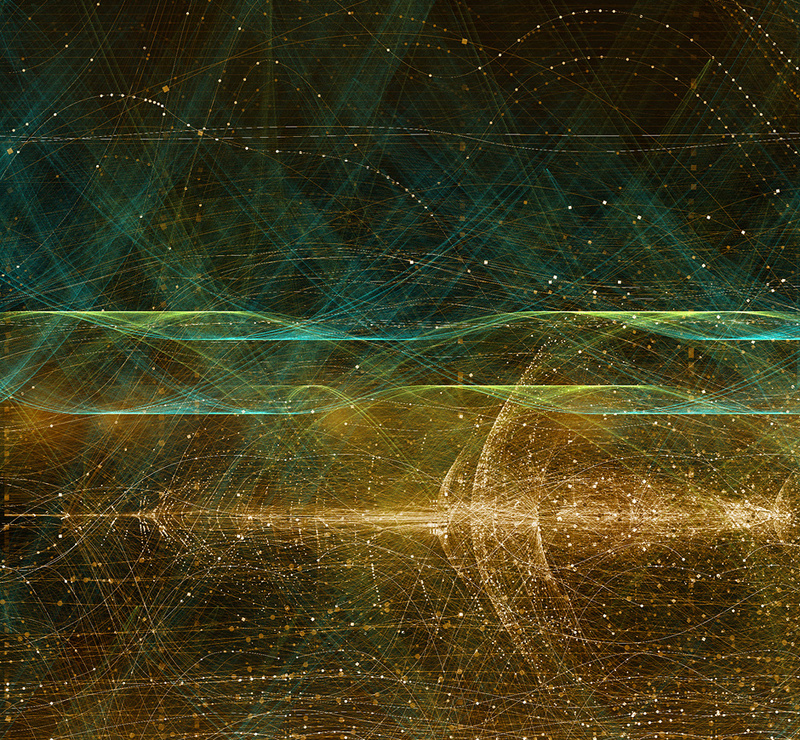 Technosignatures are the unintentional signals that provide evidence for a technological civilization. Technosignatures include laser emissions, indications of massive megastructures like Dyson Spheres, or, sadly, highly-polluted atmospheres. 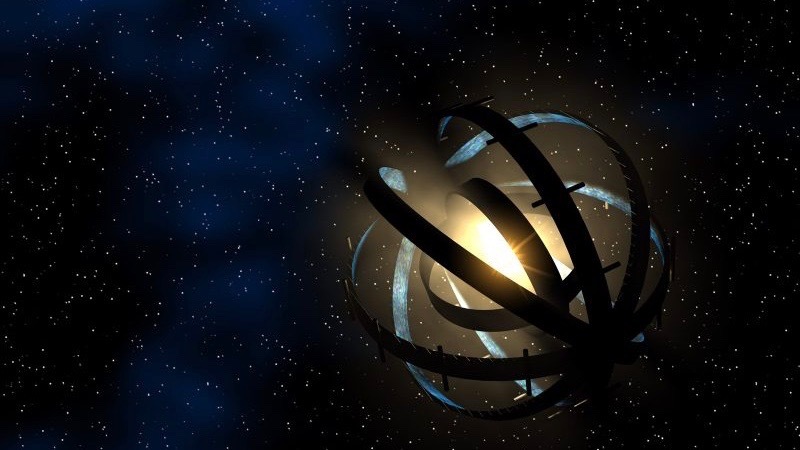 An artist’s concept of a Dyson sphere, built by an advanced civilization to capture the energy of a star. Image via CapnHack, via energyphysics.wikispaces.com. At the Technosignatures Workshop, they also talked about detecting megacities on other planets through their heat signature, and detecting satellites orbiting other planets. But in each of these cases, any technosignatures would likely not jump right out at us. It will require some advanced sleuthing techniques to determine if what searchers are detecting are in fact technosignatures. That’s why NASA held the workshop. Presenters outlined the current state of the field in detecting technosignatures, what the most promising avenues of research are, and what investments can advance the science of technosignature detection. A major stated goal of the workshop is to understand how NASA can support the whole field through partnerships with both private and philanthropic partners. There’s precedent for partnerships in the search for the detection of technosignatures. The SETI effort was a NASA program up until 1993 when Congress reigned it in. Since then, other organizations and wealthy people like Paul Allen, co-founder of Microsoft, have kept SETI going. But now NASA is back in the game, and their Technosignatures Workshop is their first step in a renewed effort to detect other civilizations. This new effort comes on the heels of major discoveries in the past few years. For a long time we didn’t know if other stars had planets in their orbits, or if our Solar System was unique. But the Kepler mission changed all that. Kepler has discovered over 2,600 exoplanets and is still going. And Kepler has only searched a tiny portion of the sky. With that data in hand, there’s no reason to think that exoplanets aren’t plentiful throughout the galaxy and the universe. Congress must have realized that, and decided to urge NASA to search some of the newly-discovered exoplanets for evidence of civilizations. Telescopes now in the design and construction phases will allow us to image exoplanets, to study their atmospheres, and potentially detect hot-spots on their surfaces. We may even be able to use the transit method to detect any satellites orbiting another planet. Nobody knows what we’ll find, but it’s hard not to get a little excited. There’s a lot of work to be done. Scientists will have to decide the best way to proceed. But once they get going, it promises to be a very exciting endeavour. No image caption or credit. SETI Scientists Detect Mysterious Radio Bursts with Help from AI. Breakthrough Listen, a program to search for intelligent extraterrestrial communications, recently announced exciting results in an effort to apply machine learning to the challenge of signal detection. The team examined mysterious repeating light pulses called fast radio bursts, or FRBs. An algorithm called a “convolutional neural network” was applied to a large amount of data collected by the Green Bank Telescope on a particular emission, FRB 121102, the only one known to emit repeated bursts. While researchers who scoured the data collected in 2017 showed 21 bursts in their report, reanalysis with the algorithm revealed a stunning 72 additional bursts that were previously undetected. Just as the patterns of pulses from pulsars have helped astronomers constrain computer models of the extreme physical conditions in such objects, the new measurements of FRBs will help figure out what powers these enigmatic sources, Siemion said. “Whether or not FRBs themselves eventually turn out to be signatures of extraterrestrial technology, Breakthrough Listen is helping to push the frontiers of a new and rapidly growing area of our understanding of the Universe around us,” he added. The SETI Institute has been applying machine learning to its work in a number of exciting initiatives, including using the IBM Cloud and AI algorithms to analyze signals identified by the Allen Telescope Array, and using the advantage of the ATA’s wide frequency coverage in combination with the IBM Cloud to conduct new types of observations on wide-band signals from exoplanets. “Even at best, any biosphere that we could construct for centuries to come is going to be a mere shadow of what we have every day on the Earth,” he said. In the early 1930s, Bell Labs was experimenting with making wireless transatlantic calls. The communications goliath wanted to understand the static that might crackle across the ocean, so it asked an engineer named Karl Jansky to investigate its sources. He found three: nearby thunderstorms, distant thunderstorms, and a steady hiss, coming from … somewhere. Jansky studied the hiss for a year, using a rudimentary antenna that looked like toppled scaffolding, before announcing its origin: The static was coming from the the galaxy itself. “Radio waves heard from remote space,” announced The New York Times in May 1933. “Sound like steam from a radiator after traveling 30,000 light-years.” Janksy had unwittingly spawned the field of radio astronomy. Today, a replica of Jansky’s scope sits on the lawn in front of Green Bank Observatory, one of the four world-class public radio telescopes in the US. Replica of Grote Reber Radio Telescope at National Radio Astronomy Observatory in Green Bank, West Virginia. Along with the Very Large Array [above], Arecibo Observatory, and the Very Long Baseline Array (VLBA), it is the legacy of a boom time in federal investment in the field that began in earnest after World War II. Now, the future of those scopes—instruments that map the gaseous threads that connect cosmic neighborhoods, penetrate the dust shrouds surrounding not-yet stars, and probe way-warped spacetime—is in question. “Radio astronomy is really, really unique in the kinds of astrophysics that we can study,” says Brian Kent, an astronomer at the National Radio Astronomy Observatory. That work is far from stopping. But support for pure science in the US is always complicated, since it relies on the good graces of federal agencies and annual budgets. As funders balance building and operating new scopes with the old, while giving grants to the astronomers who actually use those instruments, something’s gotta give. And no matter what it is, the science will not be the same. Building massive radio telescopes—which today cost anywhere from around $100 million to more than $1 billion—actually began as a cost-sharing measure. In the 1950s, the nascent radio astronomy community realized universities couldn’t afford to build their own scopes—at least not ones of high enough quality to drive the field forward. So in 1956, the United States formed the National Radio Astronomy Observatory, building a succession of telescopes in Green Bank that it could loan out to scientists from around the country. In Puerto Rico, construction on the 300-meter Arecibo observatory began in the 1960s, and it became the National Astronomy and Ionosphere Center. In the 1970s, the NRAO started building the Very Large Array in New Mexico. Most recently, NRAO helped create the Atacama Large Millimeter/Submillimeter Array, or ALMA, in Chile. It cost more than a billion dollars to build, with the NSF contributing around $500 million, and another approximately $40 million per year to operate it. But it’s worth it: In US astronomy, interferometers, or telescopes like ALMA made of many smaller antennas, are currently more popular with scientists than big single-dish scopes, says NSF astronomy division director Richard Green. “We really try to be responsive to community interest,” he says. Interferometers provide higher resolution—crisper pictures of smaller areas—and can investigate many of the same celestial phenomena. Giant single dishes do still hold astronomers’ interest—especially those that want to map large gassy portions of the sky, find and monitor pulsars, and catch the faint emissions that interferometers, which are less sensitive, can miss. Still, when push came to budget cut, the big single dishes, Arecibo and Green Bank, were the ones to go. Now, as the NSF gradually decreases funding to Green Bank and Arecibo, the observatories have had to solicit support elsewhere—primarily through pay-to-play private partnerships. A SETI project [Breakthrough Listen, supported by Russian Billionaire, which also involves Parkes Radio telescpe in Australia, and the Automated Planet Finder at UCSC Lick Obsevatory on Mt Hamilton, CA, USA]and a collaboration of pulsar astronomers searching for gravitational waves are helping to keep Green Bank afloat. The Russians are ponying up to communicate with their science spacecraft. And the VLBA has netted Navy money, partly to keep track of Earth’s tilt. And it could leave room—ideally—for building up other resources astronomers are interested in, like array-based scopes. There is a new facility potentially on the horizon: The Next-Generation VLA (the VLA itself, while upgraded, is 40 years old). As currently envisioned, the ngVLA’s many antennas will together have 10 times the sensitivity and resolution as the VLA, at a wider range of frequencies. The primary array will have 214 18-meter antennas, spiraled across New Mexico, Texas, Arizona, and Mexico. Nineteen smaller ones will sit close to the center, and 30 18-meterers will constellate the continent. With the ngVLA, the hypothetical instrument’s project scientist Eric Murphy says astronomers could make high-def movies of solar systems as they come together—something previously out of reach because the dust surrounding the baby planets obscured their birth, and because radio images weren’t sharp enough. They could capture the collisions that cause gravitational-wave events, up to 650,000,000 light-years away. They could find more molecules that precurse biology in still-forming star systems. The conditional tense, though, is key. Before it can be realized, a committee has to deem it important in the 2020 Decadal Survey, a priority plan that astronomers make every decade. If it gets a high ranking—and then funding—construction would start around 2025. But it’s expensive: $1.5 billion just for construction, of which the US would pay half, and $75 million a year to operate. For comparison, Green Bank cost about $135 million in today’s dollars to build and costs around $10 million to operate. “It might all get shot down tomorrow, but for now, it’s fun,” says Murphy. But radio astronomers—always kind of a scrappy, rogue element within the cosmic establishment—will likely continue to find ways to keep their telescopes open, operating, and updated. It’s part of their scientific heritage. See, after Karl Jansky did his phone project, Bell didn’t care so much about this astronomy stuff. The lab moved Jansky on to other projects. But in Wheaton, Illinois, a guy named Grote Reber became obsessed. In his backyard, Reber began to build his own radio telescope. Its dish, completed in 1937, was 31 feet across—a length dictated by the boards available at the local hardware store. Amateur radio astronomer Grote Reber´s 9 meter (31.4 ft) parabolic radio telescope antenna, which he built in his backyard in Illinois in 1937. This was the second radio telescope ever built (after Karl Jansky’s dipole array antenna), the first parabolic radio telescope and the first large parabolic dish, serving as the prototype for large dish radio telescopes built after World War 2. Its construction and the sky survey Reber did with it helped found the field of radio astronomy. He published the first map of the galaxy’s radio emissions, a contour plot that looks like a sky cephalopod. For around a decade, Reber was the world’s only active radio astronomer. Reber surveyed the radio radiation from the sky and presented the data as contour maps showing that the brightest areas correspond to the Milky Way. The brightest part is toward the center of the Milky Way galaxy in the south. Other bright radio sources, such as the ones in Cygnus and Cassiopeia, were recognized for the first time. The contour diagram at left is copied from “Galactic Radio Waves” by G.Reber, which was published in Sky and Telescope, Vol.8, No.6, April, 1949. The diagrams are plotted in galactic coordinates in which the galactic equator runs horizontally. Most of the radio radiation is in or near the galactic equator. The vertical axes are galactic latitude in degrees. The horizontal axes are galactic longitude, in which the direction toward the center of the galaxy has longitude=0. In the years from 1938 to 1943, Reber made the first surveys of radio waves from the sky and published his results both in engineering and astronomy journals. His accomplishments insured that radio astronomy became a major field of research following World War II. Research groups in many countries began building bigger and better antennas and receivers to follow up on Reber’s discoveries. When the National Radio Astronomy Observatory started up, in the 1950s, it bought Reber’s telescope and relocated it to Green Bank, right across the street from Jansky’s duplicate—a reminder to support each other’s science in the face of establishment adversity or ambivalence. RadioNet, the European Programme for radio astronomy, has been awarded a grant of 10 million Euro for the next 4 years from the European Union’s Horizon 2020 research and innovation programme to perform a comprehensive, innovative and ambitious suite of actions that fosters a sustainable research environment. RadioNet’s main aims are to ensure that key developments in radio astronomy are supported on a European wide basis and that access to world class radioastronomical facilities is provided to European researchers. 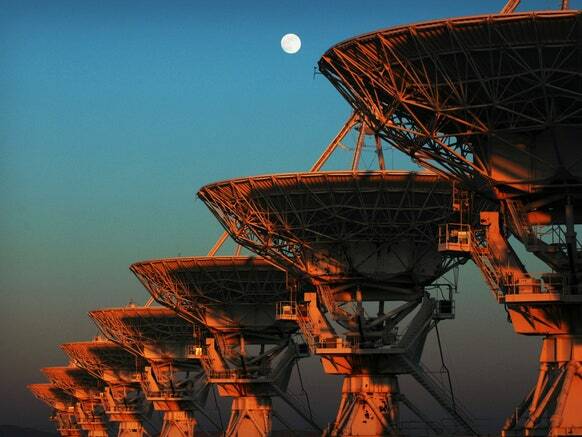 RadioNet brings together 28 leading radio astronomical research laboratories from 13 countries. As one of RadioNet’s major partner institutions, IRAM will be the leading participant and coordinator of AETHRA, a joint research programme that will exploit cutting edge technologies with the aim of improving instrument performance and observing speed of next generation receivers for the NOEMA, IRAM 30-meter telescope, ALMA and APEX facilities. At the same time, IRAM will be committed to offering Transnational Access, a European initiative for scientists from all over the world, whose aim is to facilitate access to the IRAM facilities and enable scientist to conduct research at the forefront of technological innovation. What we face is the same kind of results as when Congress in 1993 killed the Superconducting Super Collider [SSC], a particle accelerator complex under construction in the vicinity of Waxahachie, Texas. This, the largest blunder in High Energy Physics [HEP], leterally handed off HEP to CERN in France and Switzerland which built the Large Hadron Collider which found the Higgs boson, which wold have been found at the SSC. Tracing the path of the particle accelerators and tunnels planned for the Superconducting Supercollider Project. You can see the main ring circling Waxahachie. Arecibo is no longer the largest radio telescope in the world. [Completely forgotten in this article is the work of Arno Penzias and Robert Wilson at Bell Labs, who discovered the background radiation from the Big Bang. The 15 meter Holmdel horn antenna at Bell Telephone Laboratories in Holmdel, New Jersey was built in 1959 for pioneering work in communication satellites for the NASA ECHO I. The antenna was 50 feet in length and the entire structure weighed about 18 tons. It was composed of aluminum with a steel base. It was used to detect radio waves that bounced off Project ECHO balloon satellites. The horn was later modified to work with the Telstar Communication Satellite frequencies as a receiver for broadcast signals from the satellite. In 1964, radio astronomers Robert Wilson and Arno Penzias discovered the cosmic microwave background radiation with it, for which they were awarded the 1978 Nobel prize in physics. In 1990 the horn was dedicated to the National Park Service as a National Historic Landmark. This type of antenna is called a Hogg or horn-reflector antenna, invented by Albert Beck and Harald Friis in 1941 and further developed by D. C. Hogg at Bell Labs in 1961. It consists of a flaring metal horn with a reflector mounted in the mouth at a 45° angle, so the antenna receives radio waves at a 90° angle to the horn axis. The reflector is a segment of a parabolic reflector, so the antenna is equivalent to a parabolic antenna fed off-axis. This type of antenna has characteristics that make it a good radio telescope: it has very broad bandwidth, the aperture efficiency can be calculated accurately, and the horn shields the antenna from electrical noise coming from angles outside the beam axis, so it picks up little thermal ground noise. Won’t you please take me along? I won’t do anything wrong. Won’t you please take me along for a ride? So sang the Byrds in 1966, after strange radio bursts from distant galaxies called quasars had excited people about the possibility of extraterrestrial intelligence. I recalled those words recently when reading the account of a pair of Navy pilots who were outmaneuvered and outrun by a U.F.O. off the coast of San Diego back in 2004. Cmdr. David Fravor said later that he had no idea what he had seen. 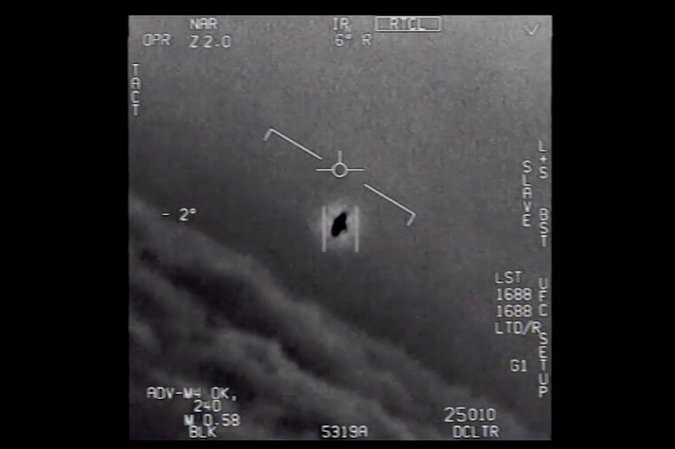 His story was part of a bundle of material released recently about a supersecret $22 million Pentagon project called the Advanced Aerospace Threat Identification Program, aimed at investigating U.F.O.s. The project was officially killed in 2012, but now it’s being resurrected as a nonprofit organization. Disgruntled that the government wasn’t taking the possibility of alien visitors seriously, a group of former defense officials, aerospace engineers and other space fans have set up their own group, To the Stars Academy of Arts & Science. One of its founders is Tom DeLonge, a former punk musician, record producer and entrepreneur, who is also the head of the group’s entertainment division. For a minimum of $200, you can join and help finance their research into how U.F.O.s do whatever it is they do, as well as telepathy and “a point-to-point transportation craft that will erase the current travel limits of distance and time” by using a drive that “alters the space-time metric” — that is, a warp drive going faster than the speed of light, Einstein’s old cosmic speed limit. “We believe there are transformative discoveries within our reach that will revolutionize the human experience, but they can only be accomplished through the unrestricted support of breakthrough research, discovery and innovation,” says the group’s website. I’m not holding my breath waiting for progress on telepathy or warp drive, but I agree with at least one thing that one official with the group said. That was Steve Justice, a former engineer at Lockheed Martin’s famous Skunk Works, where advanced aircraft like the SR-71 high-altitude super-fast spy plane were designed. “How dare we think that the physics we have today is all that there is,” he said in an interview published recently in HuffPost. I could hardly agree more, having spent my professional life in the company of physicists and astronomers trying to poke out of the cocoon of present knowledge into the unknown, to overturn Einstein and what passes for contemporary science. Lately, they haven’t gotten anywhere. The last time physicists had to deal with faster-than-light travel was six years ago, when a group of Italy-based physicists announced that they had seen the subatomic particles known as neutrinos going faster than light. It turned out they had wired up their equipment wrong. So far Einstein is still the champ. But surely there is so much more to learn. A lot of surprises lie ahead, but many of the most popular ideas on how to transcend Einstein and his peers are on the verge of being ruled out. Transforming science is harder than it looks. While there is a lot we don’t know, there is also a lot we do know. We know how to turn on our computers and let gadgets in our pocket navigate the world. We know that when physical objects zig and zag through a medium like air, as U.F.O.s are said to do, they produce turbulence and shock waves. NASA engineers predicted to the minute when the Cassini spacecraft would dwindle to a wisp of smoke in Saturn’s atmosphere last fall. In moments like this, I take comfort in what the great Russian physicist and cosmologist Yakov Zeldovich, one of the fathers of the Soviet hydrogen bomb, once told me. “What science has already taken, it will not give back,” he said. Scientists are not the killjoys in all this. In the astronomical world, the border between science fact and science fiction can be very permeable, perhaps because many scientists grew up reading science fiction. And astronomers forever have their noses pressed up against the window of the unknown. They want to believe more than anybody, and I count myself among them. But they are also trained to look at nature with ruthless rigor and skepticism. For astronomers, the biggest problem with E.T. is not the occasional claim of a mysterious light in the sky, but the fact that we are not constantly overwhelmed with them. Half a century ago, the legendary physicist Enrico Fermi concluded from a simple back-of-the-envelope calculation that even without warp drive, a single civilization could visit and colonize all the planets in the galaxy in a fraction of the 10-billion-year age of the Milky Way. “Where are they?” he asked. Proponents of SETI, the search for extraterrestrial intelligence, have been debating ever since. One answer I like is the “zoo hypothesis,” according to which we have been placed off-limits, a cosmic wildlife refuge. Another answer came from Jill Tarter, formerly the director of research at the SETI Institute in Mountain View, Calif. “We haven’t looked hard enough,” she said when I asked her recently. If there was an iPhone sitting under a rock on the Moon or Mars, for example, we would not have found it yet. Our own latest ideas for interstellar exploration involve launching probes the size of postage stamps to Alpha Centauri. In the next generation, they might be the size of mosquitoes. By contrast, the dreams of some U.F.O. enthusiasts are stuck in 1950s technology. 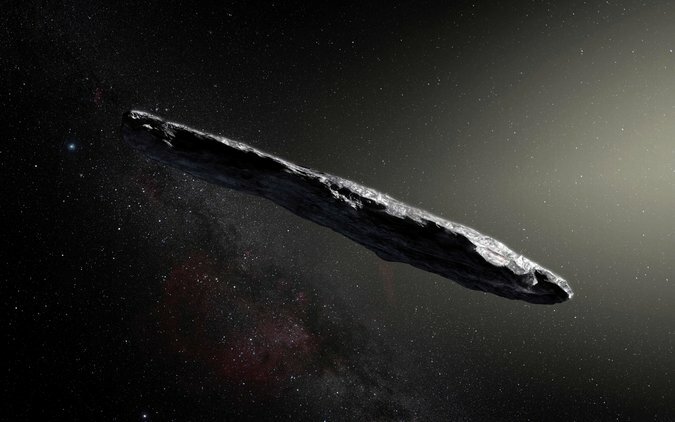 Last fall when a strange object — an interstellar asteroid now named Oumuamua — was found cruising through the solar system, astronomers’ thoughts raced to the Arthur C. Clarke novel Rendezvous With Rama, in which the object was an alien spaceship. Two groups have been monitoring Oumuamua for alien radio signals, so far to no avail. Meanwhile, some astronomers have speculated that the erratic dimming of a star known as “Boyajian’s star” or “Tabby’s star,” after the astronomer Tabetha Boyajian, could be caused by some gigantic construction project orbiting the star. So far that has not worked out, but none of the other explanations — dust or a fleet of comets — have, either. U.F.O. investigations are nothing new. 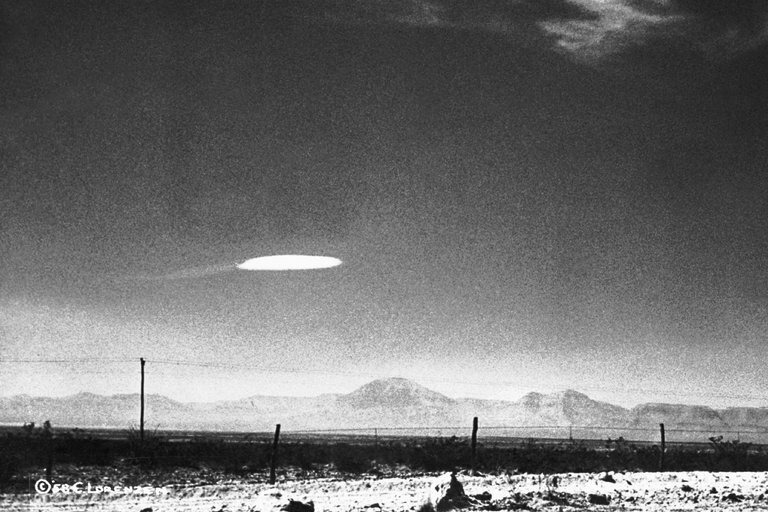 The most famous was the Air Force’s Project Blue Book, which ran from 1952 to 1970 and examined more than 12,000 sightings. Most U.F.O. sightings turn out to be swamp gas and other atmospheric anomalies, Venus, weird reflections or just plain hoaxes. But there is a stubborn residue, a few percent that resist easy explication, including now Commander Fravor’s story. But that’s a far cry from proving they are alien or interstellar. I don’t know what to think about these stories, often told by sober, respected and professional observers — police officers, pilots, military officials — in indelible detail. I always wish I could have been there to see it for myself. Then I wonder how much good it would do to see it anyway. Recently I ran into my friend Mark Mitton, a professional magician, in a restaurant. He came over to the table and started doing tricks. At one point he fanned the card deck, asked my daughter to pick one, and then asked her to shuffle the deck, which she did expertly. Mr. Mitton grabbed the deck and sprayed the cards in the air. There was my daughter’s card stuck to a mirror about five feet away. How did it get there? Not by any new physics. Seeing didn’t really help. As modern psychology and neuroscience have established, the senses are an unreliable portal to reality, whatever that is. Something might be happening, but we don’t know what it is. E.T., if you’re reading this, I’m still waiting to take my ride. When many people look at the stars, they see a vast, unbound infinity that fills them with a feeling that’s difficult to describe but impossible to forget. That feeling pushes humanity to want to explore the great unknown reaches of space in the hopes of discovering that we aren’t alone in it. But let’s assume for one moment that extraterrestrial life does exist. Should we really be trying to contact it? While that does sound like it could be a possibility, not everyone agrees with Hawking. In fact, many have equally convincing arguments in support of contact with aliens. To some, the question is a no-brainer. Why wouldn’t we want to meet other intelligent lifeforms? That’s the thought shared by the people at the SETI (Search for Extra Terrestrial Intelligence) Institute. In fact, SETI is now far more proactive in its search for alien life than ever before. Initially, the organization focused on passively looking for signals indicating signs of intelligent life, but now it is taking action in the form of METI (Messaging Extra Terrestrial Intelligence). METI International sends greetings to specific locations in space in the hopes of alerting alien astronomers of our existence. Though Hawking and others worry that our interstellar friendship search will lead to the annihilation or subjugation of our species as a whole, Douglas Vakoch, the president of METI International and a professor in the Department of Clinical Psychology at the California Institute for Integral Studies, strongly disagrees with this assertion. He believes that claims that we should hide our existence as a species are unfounded. After all, we have already leaked nearly 100 years of transmissions from radio and television broadcasts as electromagnetic radiation. Vakoch goes on to note an inconsistency in Hawking’s reasoning. He asserts that any civilizations able to travel between stars will absolutely have the ability to pick up our “leaked” signals. By that logic, they must already be aware of our existence and are simply waiting for us to make the first move. Vakoch urges us to test the Zoo Hypothesis and the Fermi Paradox through standard peer-review methods, insisting that we target nearby star systems 20 or 30 light-years away with repeat messages to generate a testable hypothesis within a few decades. NASA estimates that there are 40 billion habitable planets in our galaxy. While he strongly urges caution in making first contact, even Hawking is curious as to whether any of those planets beyond our solar system host life. To that end, he has launched a $100 million initiative to seek out life. Futurism covers the breakthrough technologies and scientific discoveries that will shape humanity’s future. Our mission is to empower our readers and drive the development of these transformative technologies towards maximizing human potential. THE most ambitious search so far for extraterrestrial intelligence has released its first data – and there are no aliens yet. The lack of success could be explained by the result of a new approach to calculating the likelihood of detecting alien signals. This calculation suggests we might never make contact, even if extraterrestrial life is common. The search for extraterrestrial intelligence (SETI) has been active for decades. The $100 million initiative uses three of the world’s most sensitive telescopes to look for alien signals from the 1 million closest stars to Earth and the 100 closest galaxies. Breakthrough Listen team members have analysed the light from 692 stars so far. They have found 11 potential alien signals, none of which remained promising after further analysis. That’s exactly what an assessment by Claudio Grimaldi at the Swiss Federal Institute of Technology in Lausanne predicts. Most methods for calculating the likelihood of detecting alien signals start with an expected number of sources. Instead, Grimaldi started with what volume of the galaxy could be reached by alien signals, a value that requires fewer assumptions about the nature and abundance of extraterrestrial life. Grimaldi assumed that signals from an extraterrestrial emitter might get weaker or be blocked as they travel, so they would only cover a certain volume of space. 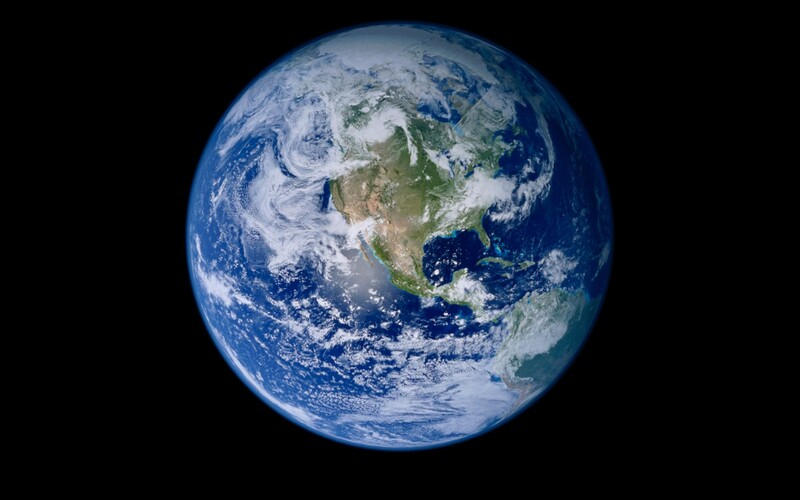 It’s relatively simple to calculate the probability that Earth is within that space and so able to detect the signal. “Not all signals can be visible at the same time – only those that intersect with the Earth,” says Grimaldi. He found that even if half of our galaxy was full of alien noise, the average number of signals that we would be able to detect from Earth is less than one (Scientific Reports, doi.org/b562). This implies that, even if there are lots of aliens out there, we might never be able to hear from them. But some researchers take umbrage: Grimaldi’s method still requires you to plug in numbers for how far alien signals could be detectable and how long they last – neither of which is known. “You have to make some assumptions about what the aliens are doing in all these calculations, unfortunately, and the data set that we have with alien activity is fairly sparse,” says Shostak. Our only example of intelligent life is on Earth, and there’s little reason to expect that ET resembles us. But, says Loeb, extraterrestrial signals should be no harder to find than other astronomical events. “The question of whether you can detect a signal has nothing to do with whether it’s artificial or natural, and astronomers routinely detect lots of kinds of signals,” he says. “In SETI, theory is great, but observation is the gold standard,” says Douglas Vakoch, president of METI International, which aims to send messages to extraterrestrial intelligence. It’s not difficult to think up a different signal that we would be able to detect, he says. For example, if there were alien life at the TRAPPIST-1 planets, just 40 light years away, they wouldn’t need particularly advanced technology to contact us. The TRAPPIST-1 star, an ultracool dwarf, is orbited by seven Earth-size planets (NASA). It seems implausible that we would miss their call. I came across the work of Chin-Fei Lee (Academia Sinica Institute of Astronomy and Astrophysics, Taiwan) when I had just read Avi Loeb’s essay Cosmic Modesty. Loeb (Harvard University) is a well known astronomer, director of the Institute for Theory and Computation at the Harvard-Smithsonian Center for Astrophysics and a key player in Breakthrough Starshot. ESO 3.6m telescope & HARPS at LaSilla, 600 km north of Santiago de Chile at an altitude of 2400 metres. His ‘cosmic modesty’ implies we should accept the idea that humans are not intrinsically special. Indeed, given that the only planet we know that hosts life has both intelligent and primitive lifeforms on it, we should search widely, and not just around stars like our Sun. More on that in a moment, because I want to intertwine Loeb’s thoughts with recent work by Chin-Fei Lee, whose team has used the Atacama Large Millimeter/submillimeter Array (ALMA) to detect organic molecules in an accretion disk around a young protostar. The star in question is Herbig-Haro (HH) 212, an infant system (about 40,000 years old) in Orion about 1300 light years away. Seen nearly edge-on from our perspective on Earth, the star’s accretion disk is feeding a bipolar jet. This team’s results, to my mind, remind us why cosmic modesty seems like a viable course, while highlighting the magnitude of the question. What Lee’s team has found at HH 212 is an atmosphere of complex organic molecules associated with the disk. Methanol (CH3OH) is involved, as is deuterated methanol (CH2DOH), methanethiol (CH3SH), and formamide (NH2CHO), which the researchers see as precursors for producing biomolecules like amino acids and sugars. “They are likely formed on icy grains in the disk and then released into the gas phase because of heating from stellar radiation or some other means, such as shocks,” says co-author Zhi-Yun Li of the University of Virginia. 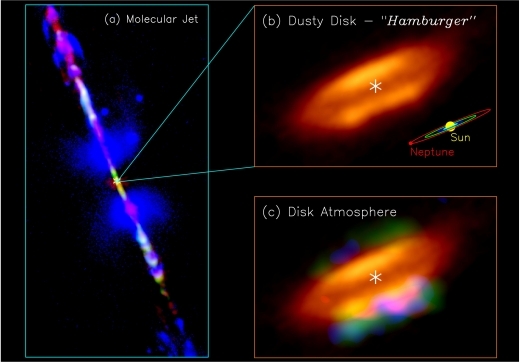 Image: Jet, disk, and disk atmosphere in the HH 212 protostellar system. (a) A composite image for the HH 212 jet in different molecules, combining the images from the Very Large Telescope (McCaughrean et al. 2002) and ALMA (Lee et al. 2015). Orange image shows the dusty envelope+disk mapped with ALMA. (b) A zoom-in to the central dusty disk. The asterisk marks the position of the protostar. A size scale of our solar system is shown in the lower right corner for comparison. (c) Atmosphere of the accretion disk detected with ALMA. In the disk atmosphere, green is for deuterated methanol, blue for methanethiol, and red for formamide. Credit: ALMA (ESO/NAOJ/NRAO)/Lee et al. Every time I read about finds like this, I think about the apparent ubiquity of life’s materials — here we’re seeing organics at the earliest phases of a stellar system’s evolution. The inescapable conclusion is that the building blocks of living things are available from the outset to be incorporated in the planets that emerge from the disk. That certainly doesn’t count as a detection of life, but it does remind us of how frequently the ingredients of life manage to appear. In that context, Avi Loeb’s thoughts on cosmic modesty ring true. We’ve been able to extract some statistical conclusions from the Kepler instrument’s deep stare that let us infer there are more Earth-mass planets in the habitable zones of their stars in the observable universe than there are grains of sand on all the Earth’s beaches. Something to think about as you read this on your beach vacation and gaze from the sand beneath your feet to the ocean beyond. is to begin to understand the small rocky worlds around nearby red dwarfs, and to determine whether there are factors like tidal lock or stellar flaring that preclude life there. For that matter, do the planets around Proxima and TRAPPIST-1 have atmospheres? There too the answer will be forthcoming, assuming the James Webb Space Telescope is deployed successfully and can make the needed assessment of these worlds. Changes to the traditional view of SETI abound as we explore these new pathways. In any case, our technologies for making such detections have never been as advanced, and work across the exoplanetary spectrum, such as the findings of Chin-Fei Lee and colleagues, urges us on as we try to relate our own civilization to a universe in which it is hardly the center. As Loeb reminds us, we are orbiting a galaxy that itself moves at ~0.001c relative to the cosmic rest frame, one of perhaps 100 billion galaxies in the observable universe. Either alternative — we are alone, or we are not — changes everything about our perspective, and encourages us to deepen the search for simple life (perhaps detected in exoplanetary atmospheres through its biosignatures) as well as conceivable alien civilizations. Embracing Loeb’s cosmic modesty, we press on under the assumption that life’s emergence is not uncommon, and that refining the search to learn the answer is a civilizational imperative. Alpha Centauri and other nearby stars seem impossible destinations not just for manned missions but even for robotic probes like Cassini or Galileo. Nonetheless, serious work on propulsion, communications, long-life electronics and spacecraft autonomy continues at NASA, ESA and many other venues, some in academia, some in private industry. The goal of reaching the stars is a distant one and the work remains low-key, but fascinating ideas continue to emerge. This site will track current research. I’ll also throw in the occasional musing about the literary and cultural implications of interstellar flight. Ultimately, the challenge may be as much philosophical as technological: to reassert the value of the long haul in a time of jittery short-term thinking. “There are many reasons to be modest,” my mother used to say when I was a kid. But after three decades as an astronomer, I can add one more reason: the richness of the universe around us. Prior to the development of modern astronomy, humans tended to think the physical world centered on us. The sun and the stars were thought to revolve around Earth. Although naive in retrospect, this is a natural starting point. When my daughters were infants, they tended to think the world centered on them. Their development portrayed an accelerated miniature of human history. As they grew up, they matured and acquired a more balanced perspective. Similarly, observing the sky makes us aware of the big picture and teaches us modesty. We now know we are not at the center of the physical universe, because Earth orbits the sun, which circles around the center of the Milky Way Galaxy, which itself drifts with a peculiar velocity of ~0.001c (c is the speed of light) relative to the cosmic rest frame. Many people, however, still believe we might be at the center of the biological universe; namely, that life is rare or unique to Earth. In contrast, my working hypothesis, drawn from the above example of the physical universe, is that we are not special in general, not only in terms of our physical coordinates but also as a form of life. Adopting this perspective implies we are not alone. There should be life out there in both primitive and intelligent forms. This conclusion, implied by the principle of “cosmic modesty,” has implications. If life is likely to exist elsewhere, we should search for it in all of its possible forms. Our civilization has reached an important milestone. We now have access to unprecedented technologies in our search for extraterrestrial life, be it primitive or intelligent. The search for primitive life is currently underway and well funded, but the search for intelligence is out of the mainstream of federal funding agencies. This should not be the case given that the only planet known to host life, Earth, shows both primitive and intelligent life forms of it. Our first radio signals have leaked by now out to a distance of more than 100 light-years and we might soon hear back a response. Rather than being guided by Fermi’s paradox: “Where is everybody?” or by philosophical arguments about the rarity of intelligence, we should invest funds in building better observatories and searching for a wide variety of artificial signals in the sky. Civilizations at our technological level might produce mostly weak signals. For example, a nuclear war on the nearest planet outside the solar system would not be visible even with our largest telescopes. But very advanced civilizations could potentially be detectable out to the edge of the observable universe through their most powerful beacons. The evidence for an alien civilization might not be in the traditional form of radio communication signals. Rather, it could involve detecting artifacts on planets via the spectral edge from solar cells, industrial pollution of atmospheres, artificial lights or bursts of radiation from artificial beams sweeping across the sky. Finding the answer to the important question: “Are we alone?” will change our perspective on our place in the universe and will open new interdisciplinary fields of research, such as astrolinguistics (how to communicate with aliens), astropolitics (how to negotiate with them for information), astrosociology (how to interpret their collective behavior), astroeconomics (how to trade space-based resources) and so on. We could shortcut our own progress by learning from civilizations that benefited from a head start of billions of years. There is no doubt that noticing the big picture taught my young daughters modesty. Similarly, the Kepler space telescope survey of nearby stars allowed astronomers to infer there are probably more habitable Earth-mass planets in the observable volume of the universe than there are grains of sand on all beaches on Earth. Emperors or kings who boasted after conquering a piece of land on Earth resemble an ant that hugs with great pride a single grain of sand on the landscape of a huge beach. Just over the past year, astronomers discovered a potentially habitable planet, Proxima b, around the nearest star, Proxima Centauri as well as three potentially habitable planets out of seven around another nearby star TRAPPIST-1. (And if life formed on one of the three, it was likely transferred to the others.) These dwarf stars, whose masses are 12 percent and 8 percent the sun’s mass, respectively, will live for up to 10 trillion years, about a thousand times longer than the sun. Hence, they provide excellent prospects for life in the distant future, long after the sun will die and turn into a cool white dwarf. I therefore advise my wealthy friends to buy real estate on Proxima b, because its value will likely go up dramatically in the future. But this also raises an important scientific question: “Is life most likely to emerge at the present cosmic time near a star like the sun?” By surveying the habitability of the universe throughout cosmic history from the birth of the first stars 30 million years after the big bang to the death of the last stars in 10 trillion years, one reaches the conclusion that unless habitability around low-mass stars is suppressed, life is most likely to exist near red dwarf stars like Proxima Centauri or TRAPPIST-1 trillions of years from now. The chemistry of “life as we know it” requires liquid water, but being at the right distance from the host star for achieving a comfortable temperature on the planet’s surface is not a sufficient condition for life. The planet also needs to have an atmosphere. In the absence of an external atmospheric pressure, warming by starlight would transform water ice directly into gas rather than a liquid phase. The warning sign can be found next door: Mars has a tenth of Earth’s mass and lost its atmosphere. Does Proxima b have an atmosphere? If so, the atmosphere and any surface ocean it sustains will moderate the temperature contrast between its permanent day and night sides. The James Webb Space Telescope, scheduled for launch in October 2018, will be able to distinguish between the temperature contrast expected if Proxima b is bare rock compared with the case where its climate is moderated by an atmosphere, possibly along with an ocean. A cosmic perspective about our origins would also contribute to a balanced worldview. The heavy elements that assembled to make Earth were produced in the heart of a nearby massive star that exploded. A speck of this material takes form as our body during our life but then goes back to Earth (with one exception, namely the ashes of Clyde Tombaugh, the discoverer of Pluto, which were put on the New Horizons spacecraft and are making their way back to space). What are we then, if not just a transient shape that a speck of material takes for a brief moment in cosmic history on the surface of one planet out of so many? Despite all of this, life is still the most precious phenomenon we treasure on Earth. It would be amazing if we find evidence for “life as we know it” on the surface of another planet, and even more remarkable if our telescopes will trace evidence for an advanced technology on an alien spacecraft roaming through interstellar space. References, some with links, some without links. Lingam, M. & Loeb, A. 2017, ApJ 837, L23-L28. Lin, H., Gonzalez, G. A. & Loeb, A., 2014, ApJ 792, L7-L11. Loeb, A. & Turner, E. L. 2012, Astrobiology 12, 290-290. Guillochon, J. & Loeb, A. ApJ 811, L20-L26. Anglada-Escude’, G. et al. 2016, Nature 536, 437-440. Gillon, M. et al. 2016, Nature 542, 456-460. Loeb, A., Batista, R. A., & Sloan, D. 2016, JCAP 8, 40-52. Kreidberg, L. & Loeb, A. 2016, ApJ, 832, L12-L18.